A: Dr Nirvana’s Naturopathic HCG Diet works in the following manner. The HCG causes your hypothalamus to mobilize the fat out of the fat storage locations so that it’s available for use. While you are only consuming 500 calories, your hypothalamus is continually releasing the fat stored in your body. Because of this, your body is actually operating on thousands of calories a day. The result is your body uses thousands of calories of stored fat from your body each day. This is the reason HCG dieters can lose weight daily. There are three types of fat found in your body. 1. Structured Fat: Found between the joints and organs 2. Normal Fat: Located throughout the body; used to meet the body’s daily nutritional needs. 3. Abnormal Fat: Deposits causing obesity; only drawn upon during starvation and pregnancy. By restricting your caloric intake the body can only draw upon the structural and normal fat reserves. That is why starvation diets alone do not work and actually cause people to get fatter. The body compensates for the low food intake and begins to store more fat. For this reason we use the HCG. 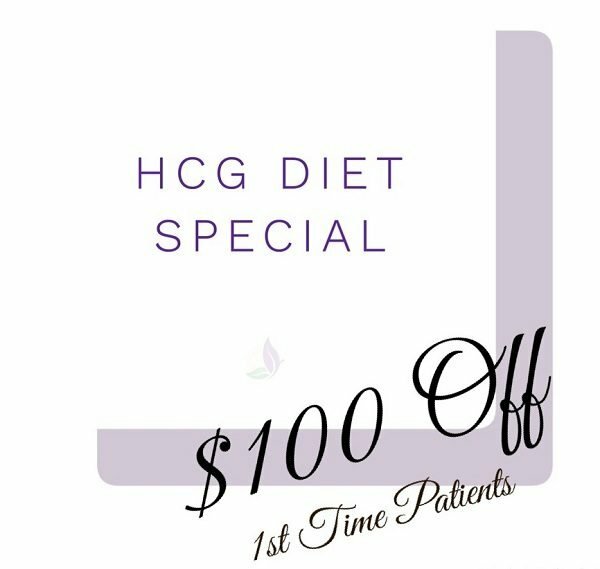 HCG Injections release abnormal fat deposits, making those reserves available for consumption by the body. Therefore the body is getting the calories it needs to survive and you are losing your extra supply of energy, fat. A: You can expect to be hungry the first couple of days of the diet. After about 48 hrs the HCG kicks in to curb your hunger and release fat stores to help feed your body. Most HCG dieters report a daily weight loss. Factors that guarantee faster weight loss include adding/increasing vegetables such as: broccoli, cauliflower, brussel sprouts, and carrots. It would really help if you have some form of high-fiber vegetables with all your meals except for breakfast (only because it is bit harder to do for breakfast). A: Most HCG dieters report a daily weight loss. Water intake is extremely important. A: The most important preparation you can do is to mentally make the decision to follow the diet. You must stay on the diet for it to work.. A totally new you! The only thing you have to do is to follow the protocol. For the first two days of your program, you are asked to eat normal, including such foods as chocolate, fried foods, pork rinds and bacon, bread and butter. This is a very important step of the program because it prepares the body for the weight reduction program. This also allows time for the HCG to take effect and cut your appetite so that you may bypass any possibility of suffering from Hunger Pangs. Your actual weight loss protocol will begin on day three. It is at this point you MUST adhere to the prescribed program without deviation. Consuming more food than prescribed or consuming foods that are not allowed will only result in an immediate weight gain. It is also essential that should you deviate, you return immediately to the stated diet plan. This deviation will cause some weight gain so make sure and stay on the diet as written below. Fluids are critical to the success of this program. You must drink a minimum of 100 ounces of water daily. This is about 10 to 12 glasses of water every day. NOT DRINKING THE PROPER AMOUNT OF WATER WILL INHIBIT MAXIMUM WEIGHT LOSS, AND IN SOME CASES CAUSE WEIGHT GAIN. Alcohol may not be consumed on this program. Q: WHY THE 500-CALORIE VLCD (VERY LOW CALORIE) DIET? A: HCG diet drops cause your hypothalamus to mobilize the fat out of the fat storage locations so that it’s available for use. While you are only consuming 500 calories, your hypothalamus is continually releasing the fat stored in your body. Because of this, your body is actually operating on thousands of calories a day. The result is your body using thousands of calories of fat from your body each day; the reason HCG dieters lose weight daily. A: Yes HCG is legal. Dr. Nirvana’s HCG follows the strict guidelines set forth by FDA and the Pharmacy Board. Q: WILL I BE HUNGRY ON 500 CALORIES A DAY? A: It is common for mild hunger during the first few days, however this will pass and by the 2nd week, you will find even very tiny servings, to be completely satisfying. This is partly due to your hypothalamus adjusting your metabolic rate, but largely due to the amount of calories circulating in your system from the fat being released. It is common that HCG dieters feel as though they are stuffing themselves in order to reach that 500- calorie limit! A: The HCG used for the HCG weight loss protocol is actually already found in men. In fact, it is present in every human tissue. Men tend to lose weight more readily, as their body’s do not “need” to hold on to fat reserves the way women’s bodys do. A: You will need inject yourself once a day for only 23 days. A: This depends on how much weight you need to lose. If you want to lose around 20 pounds you need to be on the HCG diet for 1 month. If you want to lose a larger amount of weight you will need to be on the HCG diet for 45 to 60 days. For a minimum of 2 cycles. A: If you need to cheat, please cheat with 200 grams of protein. Try not to cheat however as it interrupts the HCG process and can cause weight gain.